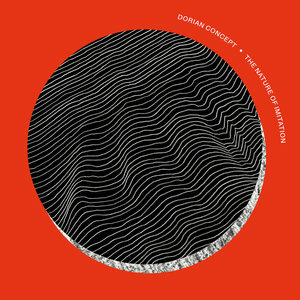 The Nature of Imitation is the sound of Dorian Concept systematically deconstructing various genres, stripping them back to the bones underneath and then rearranging them one layer at a time until he has a new form. The ever-reliable Brainfeeder, Flying Lotus' wonderfully eclectic record label, has added yet another artist that possesses that implacable need to keep redefining their sound. One of those artists that spend their formative years carefully constructing their sonic house only to spend the next period of their career tearing it down piece by piece and constructing a bold new structure from the random pieces they have left. The artist in question is one Oliver Thomas Johnson, otherwise known as Dorian Concept. In a career that started with one of his early remixes appearing on FlyLo's debut Essential Mix, progressing to a stint playing in his live band, and with him even making an appearance on the seminal Cosmogramma album, it's feels about the right time for Johnson's new album, The Nature of Imitation to be released on the Brainfeeder label. The album kicks off with "Promises", a nebulous compound of droning synths and soothing, soporific vocals that make it feel like slowly coming round from a sedative-induced sleep. Just as the listener reaches full consciousness the track kicks into a heady mix of 1960s jazz and 1970s fusion. The sound is striking. A mixture of live-playing and digital sounds made to purposely feel live. Vigorous jazz flourishes dock with sturdy, organic funk grooves to create an invigorating deep pool of sound heightened by the full, lush instrumentation. Similarly, there is a constant dichotomy on show between fast and slow tempos that continually keeps the listener on their toes. That is exemplified perfectly on "Angel Shark" which flares with a storm of synths before settling into a swaggering electro-funk groove covered in fuzz and distortion. The euphoric hit of cascading keys that open "J Buyers" gently slow as the track expands to become a beat-heavy electro-jazz fusion banger full of thumping, twitchy beats and glitchy distortion. If such a thing didn't exist before, then it certainly does now. After such an intense, genre-bending opening, The Nature of Imitation takes a well earned rest in the form of "A Mother's Lament" - an instrumental piano ballad with splashes of cymbal and ringing xylophone notes. The jazz, R&B groove of"No Time Not Mine" is the perfect summertime jam with tumbling notes failing like warm summer rain from a rooftop. "Pedestrians" is a tightly compact jazz fusion number with rapid-fire percussion and bright, uptempo synths. There's a super cool, almost improvised breakdown in the middle as if the groove itself needs a break before suddenly reanimating. "Dishwater" highlights Johnson's elegant piano playing before the song gets fully electrified to morph into a 1970s inspired electro-funk tune. The skipping and stuttering, "E13" has a loose, relaxed, light night jam feel with all instruments taking turns to lock into the groove before retreating. The eruptive, unconfined joy of "The Space" gives way to the cinematic "You Give and Give" with its mix of filmic strings, warm synths and smooth vocal loops the album floats to a graceful conclusion like a feather in the wind. The Nature of Imitation is the sound of a man systematically deconstructing various genres, stripping them back to the bones underneath and then rearranging them one layer at a time until he has a new form, completely unrecognizable from what was there before. This daring, innovative approach is fully rewarded on a startlingly inventive and fresh sounding album.